"The South West Hospital and Health Service is a rural and remote public health service committed to providing quality, dependable, safe and sustainable healthcare. The area covers more than 310,000 square kilometres, is bordered by three states and covers 21 per cent of Queensland. Services are provided to a population of 26,000 via 26 healthcare facilities, consisting of hospitals, multi-purpose health services, community clinics, aged care facilities and general practice services." 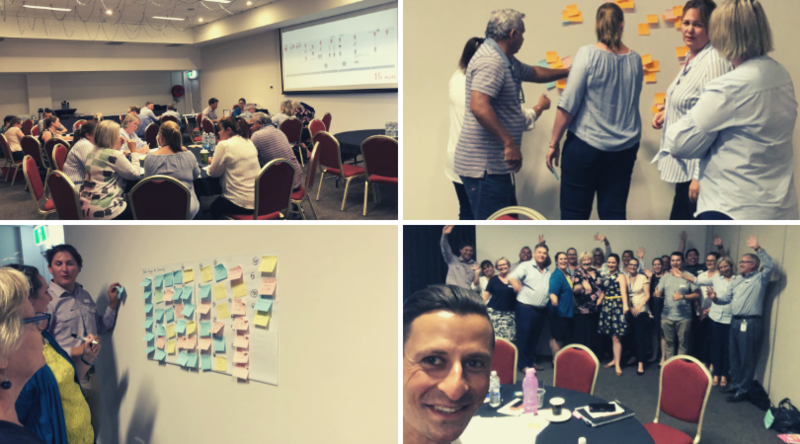 Southwest Hospital and Health Service, in Queensland's outback, hand-picked 25 leaders from across the organisation to drive change and innovation. It sought to upskill them in the fundamentals of corporate innovation dynamics, mindset and methodologies. - Participants learned how to prioritise ideas and develop low-fidelity prototypes to test key assumptions underpinning ideas, so that they would not be left in between the idea and execution, and would also avoid jumping to conclusions or suffering from paralysis analysis.